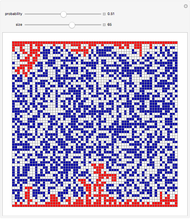 The red squares are ones that can be reached from the top or bottom by going only on filled squares. 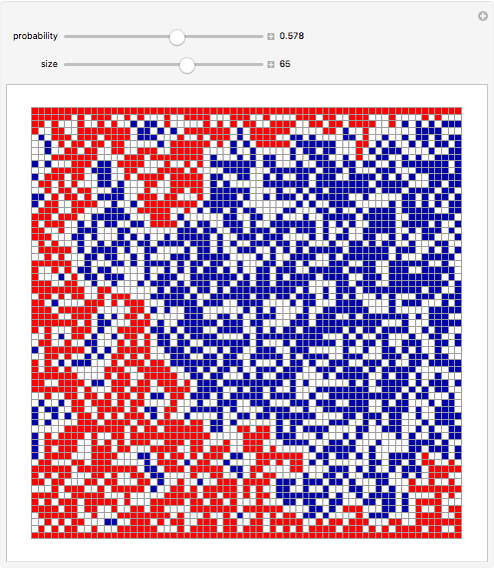 If one continuously increases the probability of filled squares, there suddenly comes a point where the cluster of red squares spans from top to bottom. 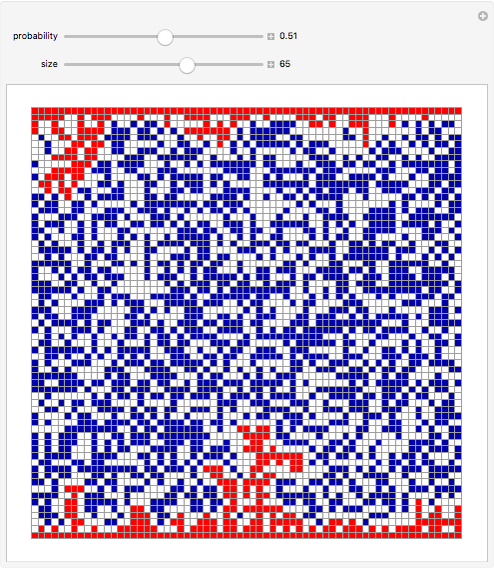 This is the so-called "percolation threshold", at which, for example, fluid coming from the top of an idealized material with a certain density of pores would "percolate" through to the bottom. 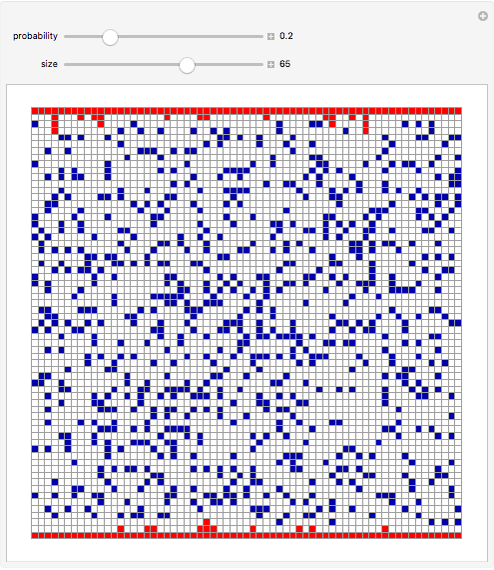 As the system gets larger, the percolation threshold becomes more and more sharply defined—a classic minimal example of a phase transition in statistical physics. 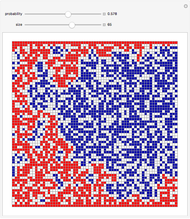 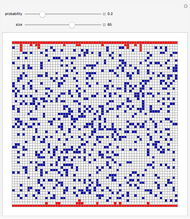 Stephen Wolfram "Percolation on a Square Grid"